Late in 2013 we reviewed two ASUS wireless routers: RT-AC68U and RT-AC56U that can be called flagship devices. However, usually models that cost less get to be the most popular ones among customers. Today our laboratory hosts ASUS RT-AC52U wireless router that is claimed to be the most purchased device. It's worth mentioning that though we were given a real production sample, it'd probably take some time until the beginning of the massive sale of the device in Russia. 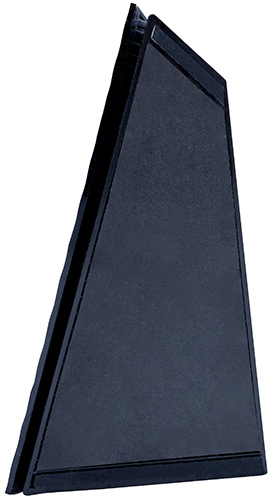 ASUS RT-AC52U wireless router is made of black plastic and meant for the desktop or wall mounting. There is a special stand fixed to the bottom side of the device that holds it in a vertical position. To work properly the device under review needs an external power unit (included in the box) with the following characteristics: 12V and 1А. There is a ventilation grate on the upper and bottom panels. On the rear side of the device there are a sticker with brief information about the device and two cross-shaped tooling holes used to mount the device on the wall. Also, there is a sunken Reset button located over here. 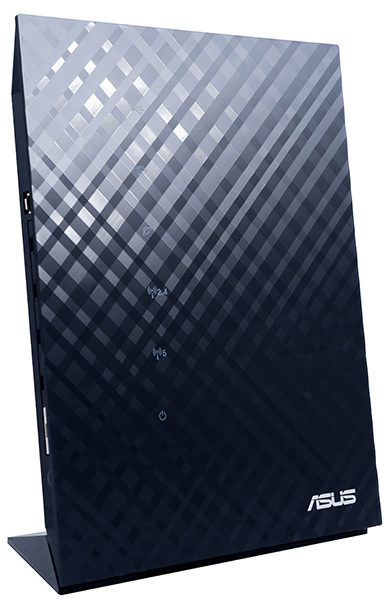 The front panel is made of glossy wavy plastic. Apart from a brand tag, it also has six LEDs indicating the power and WAN connection as well as status of the wired and wireless segments of the device. One of the side panels has a Wi-Fi on/off button. On the other side of the wireless router there are five Fast Ethernet ports (one of them is WAN and other four are LAN), USB 2.0 interface, power socket, POWER on/off button, and WPS button used for facilitating the connection of new wireless clients. Now let's have a look at the insides of the case. That was where we were faced with a slight disappointment: all elements on the card are covered by three large metal screens. 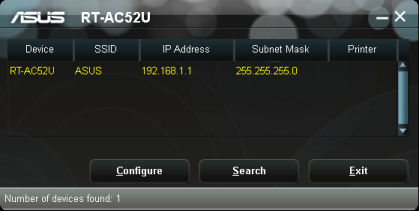 We used the command line and managed to find out that ASUS RT-AC52U wireless router is powered by SoC MediaTek (priorly Ralink) MIPS 24Kc V5.0 CPU and has 128 Mbytes of RAM. Now let's pass on to reviewing of the software capabilities of the model. 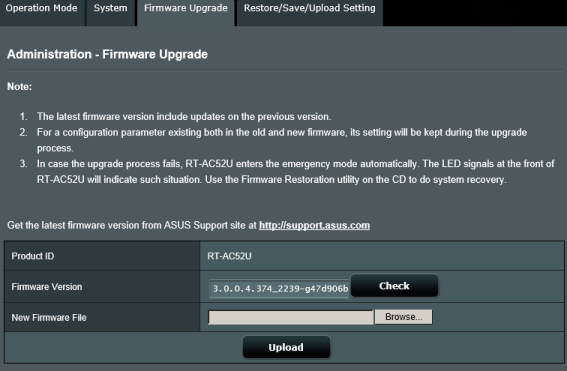 Firmware upgrade is carried out in Firmware Upgrade tab, Administration menu item. Firmware upgrade may be carried out both in a manual and semi-automatic mode. Firmware upgrade in the semi-automatic mode is available only if the NAS is connected to the WAN. The whole firmware upgrade procedure takes about 3 minutes (not considering the firmware download time from the Internet) and does not require any kind of special technical knowledge from the user. In case of a failure during the firmware upgrade process, the router changes for the rescue mode during which the power indicator on the device starts flashing slowly. 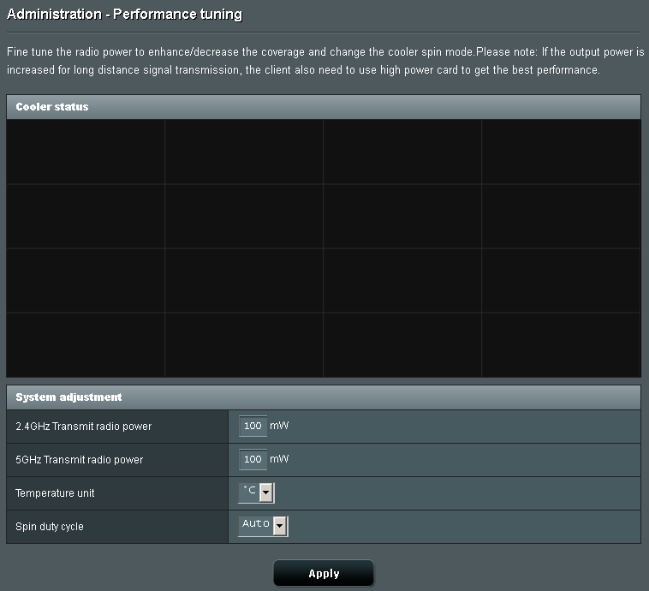 The administrator can manually switch RT-AC52U over to the rescue mode. To do that s/he only needs to hold Reset button for 10 seconds while the device is booting. Firmware restoration is carried out using the same-named program which is included in the conventional utility pack for ASUS wireless routers. The whole recovery process is carried out in the semi-automatic mode; one just needs to choose a file with the new firmware version and click on Upload button. 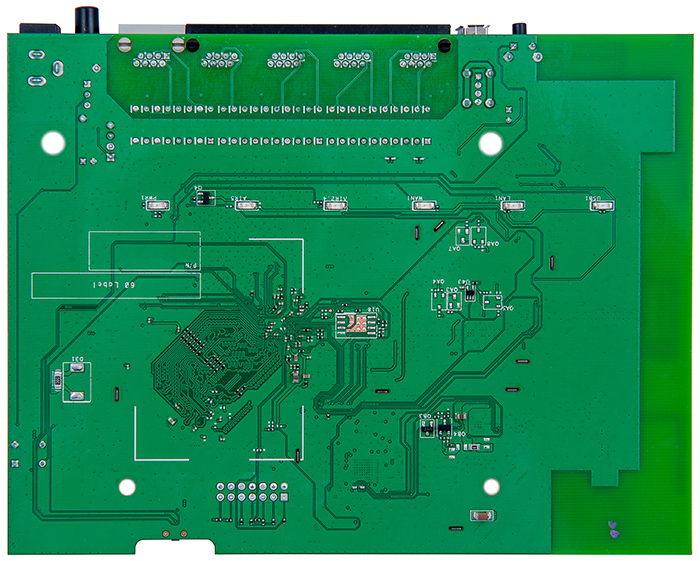 That is where we bring the section devoted to the upgrade and recovery of ASUS RT-AC52U wireless router firmwares to a conclusion. 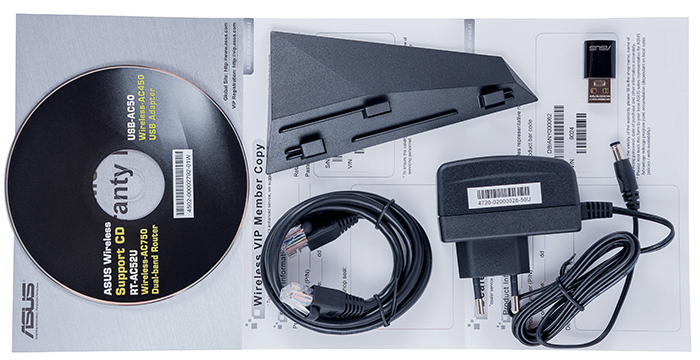 As of when the article was being written, the following utilities were available for ASUS RT-AC52U wireless router: Device Discovery, Firmware Restoration and Router Setup Wizard, which all perform standard functions for ASUS equipment. 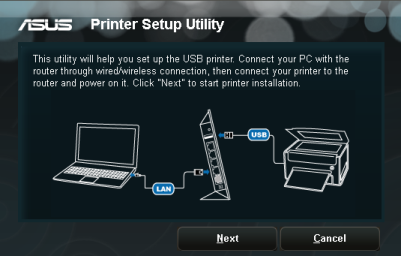 Apart from conventional utilities that let the administrator detect the ASUS device within the local network segment, restore the firmware, or facilitate initial setting-up procedures, a CD that was included in the box also featured Printer Setup Utility application used to perform a PC setup of the printer connected to the router USB port. A small USB adapter (USB-AC50) that makes it possible to upgrade the wireless network to IEEE 802.11ac standard draft comes together in the box with ASUS RT-AC52U wireless router. 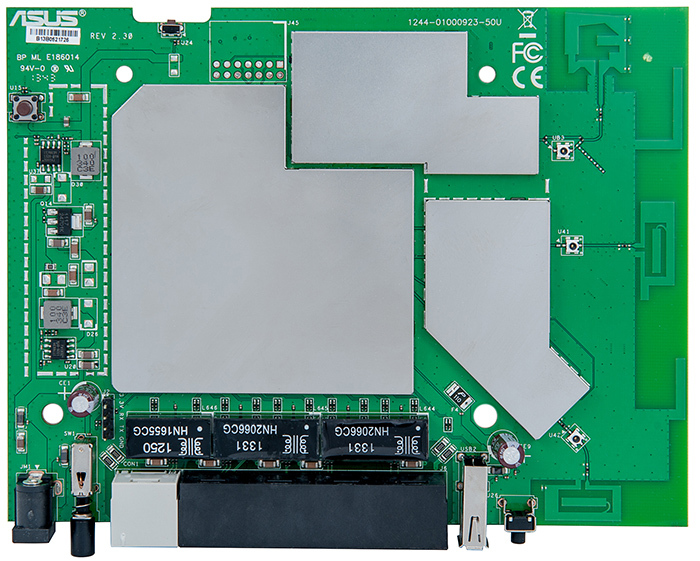 When this article was being written, we couldn't find any drivers or utilities for this wireless adapter on the vendor's website and therefore we decided to upload an archive with the files that were located on the CD especially for our readers. 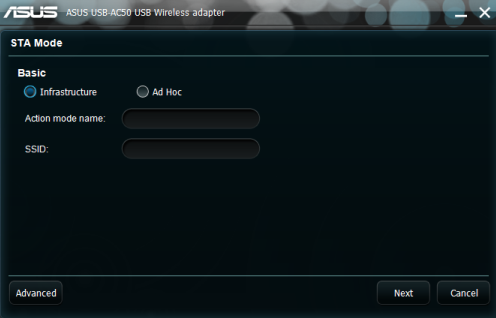 ASUS WLAN Card Setting utility displays the list of available wireless networks and offers the user to get connected to one of them. 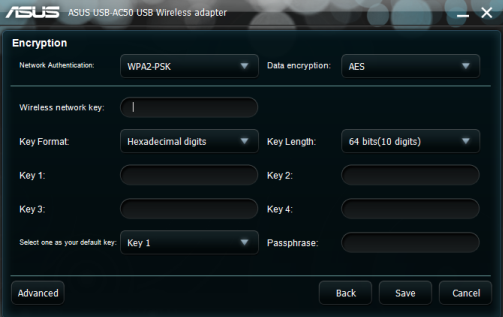 It would be fair to mention that USB-AC50 only detects wireless networks in the 5 GHz frequency range. 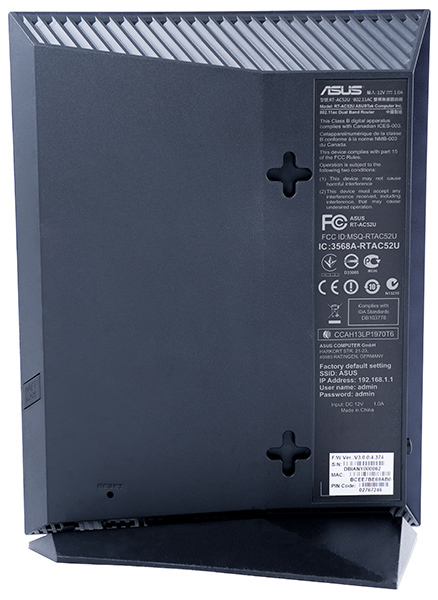 That is where we bring a brief review of ASUS RT-AC52U and USB-AC50 utilities to a completion. 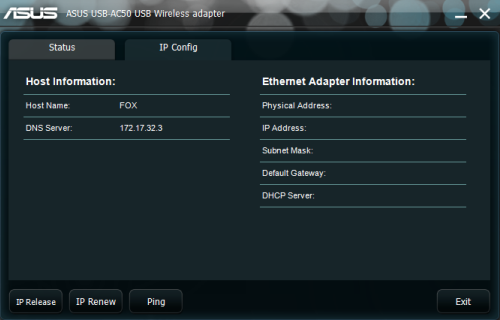 ASUS RT-AC52U wireless router web-interface is the same as the one of RT-AC56U and RT-AC68U. And there's only one thing different: inability to specify the level of hardware acceleration on Local Network-Switch Control page. Apart from it, RT-AC52U cannot perform Media Bridge functions. One can access the command line using Administration-System page. The administrator must use the same log-on information as for the connection to the device web-interface. Traditionally, BusyBox library is installed in Linux 2.6.36 system. BusyBox v1.17.4 (2013-11-28 16:01:25 CST) multi-call binary. Sysinfo utility shows detailed information on the device and its settings. We have placed the output of this utility and contents of /bin, /sbin, /usr/bin, /usr/sbin and /www catalogs into a separate file. We discovered references to one of the developers of third-party firmware, Oleg, in /usr/sbin/app_install.sh file. 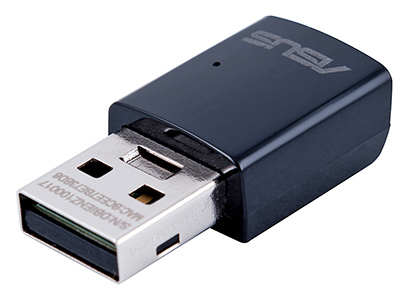 Apart from it, there is also a name of other model of ASUS, DSL-N66U, located in this file. It'd be fair to point out that there is an array of hidden pages located in /www catalog that we think would probably be available for user review in the nearest future. We can't help but mention nvram utility that allows reviewing and changing certain important device operation parameters. That's where we proceed to completion of the brief review of the device web-interface and command line capabilities and pass directly on to testing it. Traditionally, we begin our testing section with estimating the booting time of the device, which is a time interval starting with the moment when the power is on until the first echo reply is received through ICMP protocol. 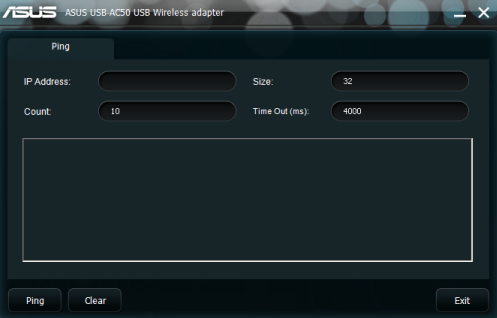 ASUS RT-AC52U wireless router boots in 47 seconds. We believe that the result is decent. 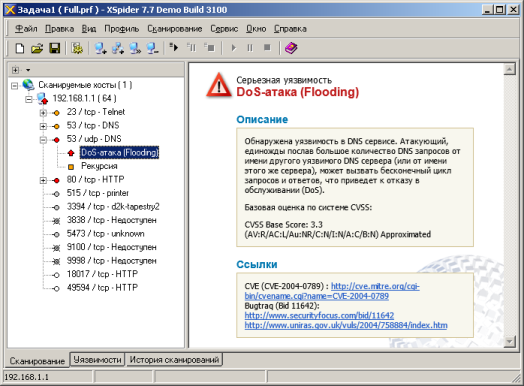 The second conventional test was a security scanning procedure of the model under review, which has been carried out using Positive Technologies XSpider 7.7 (Demo build 3100) utility. On the whole, there were twelve open ports discovered. The most interesting data are presented below. 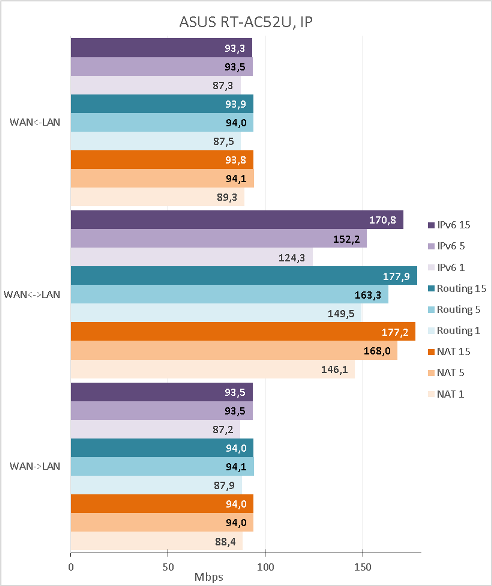 The first thing we decided to do was measuring performance of IPv4 routing between WAN and LAN ports upon operation of NAT/PAT translations (NAT) and without them (Routings); we also measured performance of IPv6 routing (IPv6). 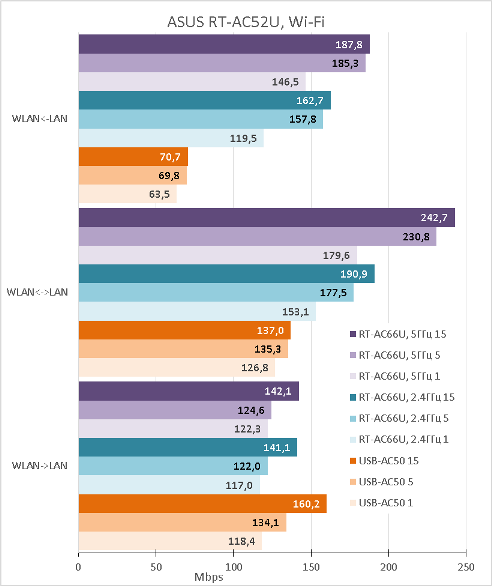 The measurements were carried using JPerf 2.0.2 utility for 1, 5, and 15 concurrent TCP connections. We'd also like to mention that all device network ports only support Fast Ethernet technology and therefore the amount of data obtained can be limited precisely due to the switch used in this model. 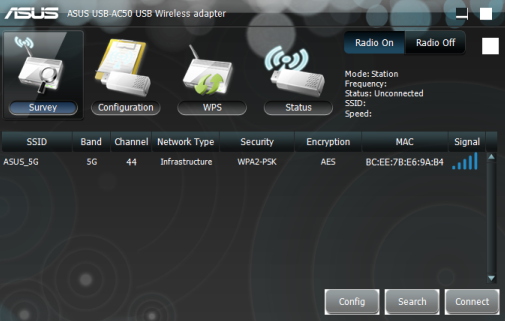 ASUS RT-AC52U wireless router can use PPPoE, L2TP, and PPTP tunnels to get connected to a service provider. We decided to measure PPTP performance with encryption and without it. 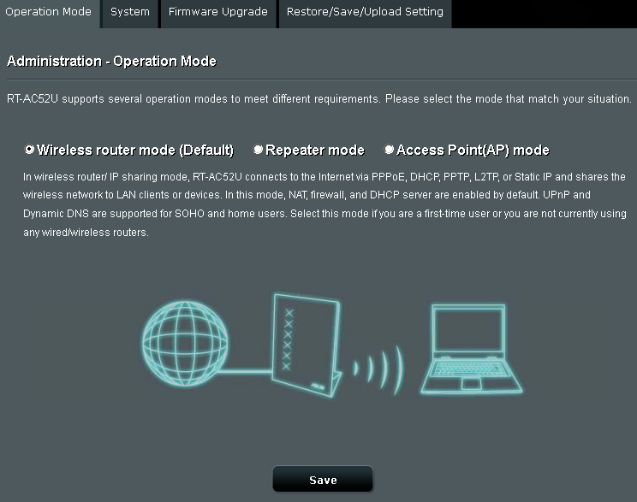 Firmware of the model under review features a built-in VPN server that supports operation with following protocols: PPTP and OpenVPN. Naturally, we measured data transfer speeds upon remote connection to this server. After that we connected a 750 Gbyte Transcend StoreJet 25M3 hard disc to the device USB 2.0 port and successively formatted it into four different file systems. Measurements of data access speeds in this test were carried out using Intel NASPT 1.7.1 utility. According to the suggestions by Intel, before the test we intentionally reduced the size of RAM on the test PC using msconfig utility. Eventually, we're about to review its Wi-Fi module. 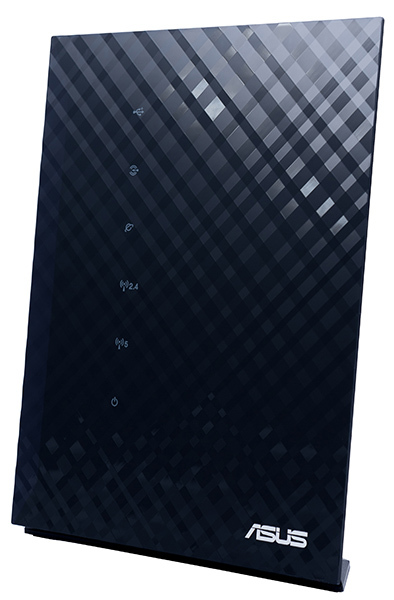 ASUS RT-AC52U wireless router makes it possible for wireless clients to establish a connection either at the speed of 300 Mbps upon usage of IEEE802.11n or 433 Mbps upon usage of IEEE 802.11ac draft. 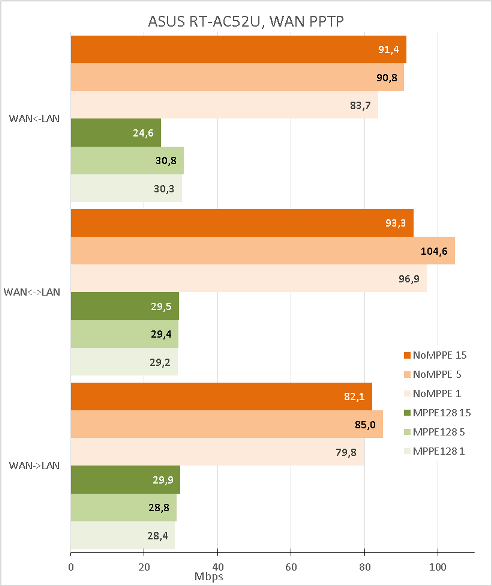 As a rule, the true-to-life performance of the wireless segment is twice lower than the stated maximum speeds. Therefore, in our case they will be 150 and 217 Mbps. However, speeds like that exceed capabilities of one wired LAN port and therefore our conventional method that we followed previously won't work in case the exact thing we need to measure is performance of the Wi-Fi transmitter. We used two wired connections instead of one, just like it's shown on the designs below. 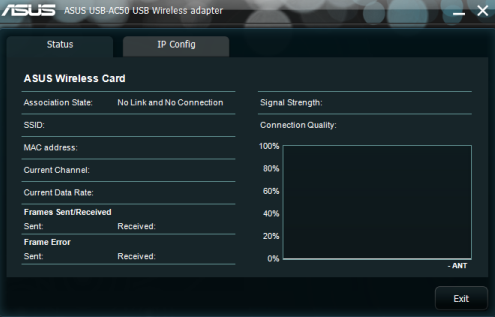 A wireless USB network card USB-AC50 (included in the box) and ASUS RT-AC66U wireless router were used as the wireless client. We used different IP networks in the PC wired interfaces, whilst for the notebook we decided to setup two IP-addresses simultaneously (one from every subnet). Results of the measurements are presented below. What do these figures mean to a common user? We can draw the following conclusion from the testing procedure: within premises located far away from other wireless networks and other sources of electromagnetic interference, the wireless client situated nearby outstrips the wired client in terms of the speed. This will let wireless clients use the Internet or download something located in the user local network (or on a USB disc connected to the router) hassle-free. Or it can be used to reduce the EMI produced by wireless networks located nearby. Since the router and notebook are not often located within the same premises, this will let both wired and wireless clients work with the Internet resources comfortably. We decided to make most out of the device wired module and find out at what speed it can carry out routing with NAT/PAT. We created another unusual design for this testing procedure: two notebooks are connected to LAN-ports performing client functions, while the PC is connected to two router WAN ports using two interfaces and is emulating the Internet connection. 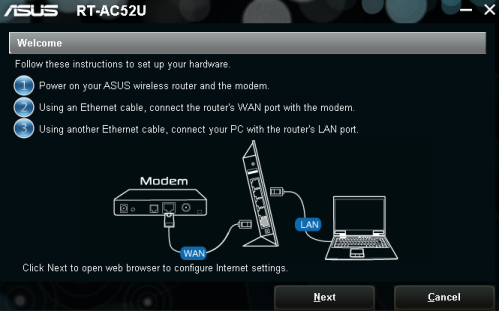 Actually, ASUS RT-AC52U has only one stand-alone WAN-port, but Double WAN feature lets the administrator use one of the LAN ports as a WAN port. Thus, the created design helped us to find out that ASUS RT-AC52U can carry out routing with NAT/PAT at approximate speeds of 271 Mbps. We believe that this is a decent result for this type of device. This test reproduces a situation when the client gets connected to two providers at the same time, making it possible to identify the maximum speed of the user node exchange with the Internet. 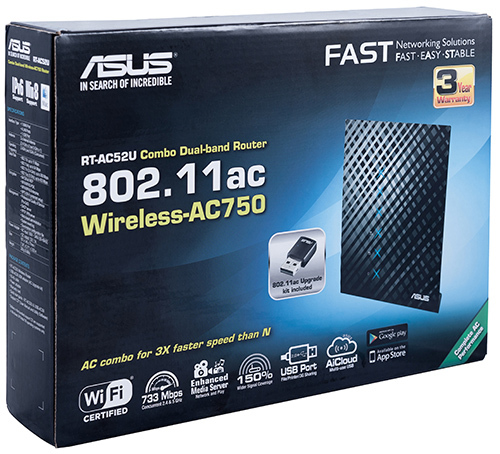 Generally, we are pleased at ASUS RT-AC52U wireless router we tested. It is seen to become the budgetly-priced model (once it has hit the Russia's stores) which would become a replacement for devices that support the older wireless standard. ASUS USB-AC50 USB adapter that's included in the box makes the transition to 802.11ac network standard an easier thing for common users. We believe that RT-AC52U is a balanced model that offers users network access speeds similar both for wired and wireless devices. 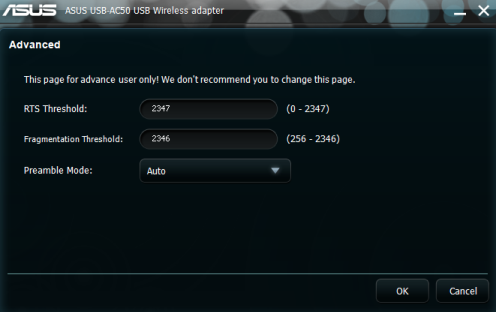 The strength areas of ASUS RT-AC52U are presented below. As of when this article was being written, the wireless router was not yet available for purchase in Moscow online shops.